MXR195B Remade Marx French Foreign Legion figures as came in the Captain Gallant playset of the 1950's. Figures are slightly shorter than the original Marx figures,. 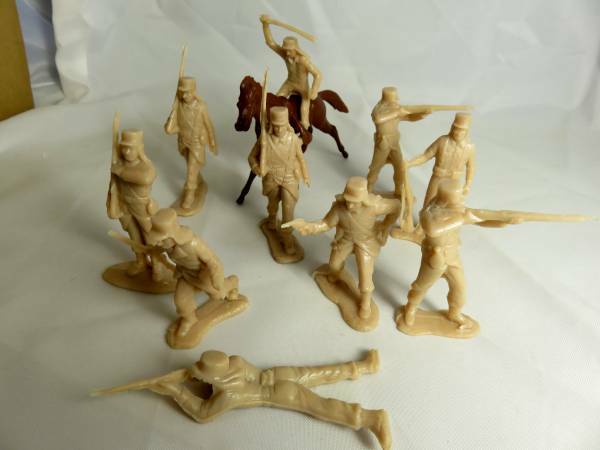 These stand about 2 1/2" tall and will blend well with other figures currently in the market.10 figures in 8 different pose one of which is mounted.A Marx cavalry horse is included. This set is in tan plastic.